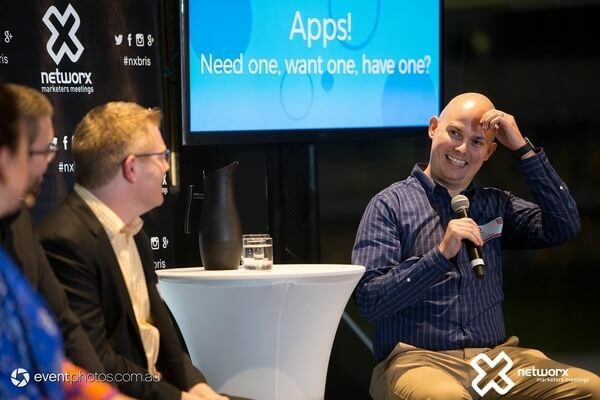 Did you attend the recent Networx Brisbane apps event? With Hydric Media’s co-founder and CTO, Eoin McCarthy on the guest panel, we wanted to bring you all of the highlights from the evening that you may have missed. It’s more than likely that in the year 2017 you’ve heard someone use the term, ‘there should be an app for that’. As web users continue to transition to mobile platforms, it’s evident that brands are shifting their resources and efforts into creating mobile app experiences to connect with users. The Networx app event aimed to discuss what exactly apps are used for, when they’re appropriate and how they’re developed. With panelist Brendt Sheen, Simon Clarke and Hydric Media’s Eoin McCarthy each hosting their own unique experience with developing mobile apps, there was just so much to delve into. One of the first points of conversation on the night was based around when exactly it’s appropriate to consider building a mobile app. It’s no lie that mobile apps are becoming more popular than ever. Although it may seem like creating an app is a must for your company/brand, it’s important to first evaluate if it’s a complete necessity. Simon from Suncorp group was in charge of overseeing the development of the Suncorp banking app through their internal team. He highlighted the importance of what factors need to be considered before jumping into the app market. 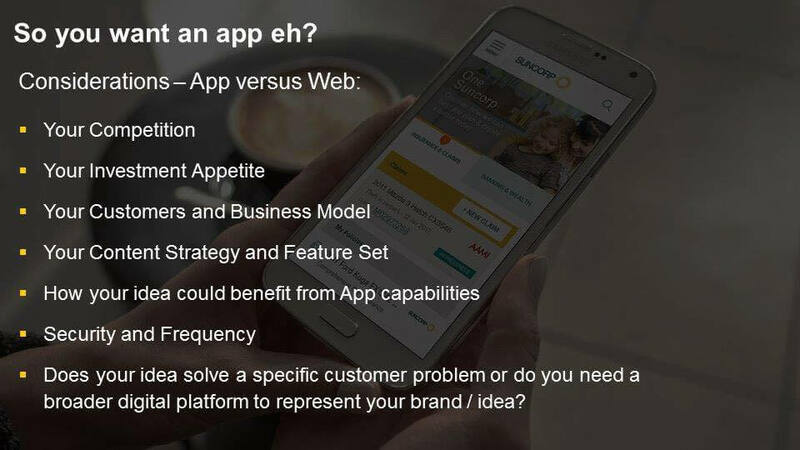 This slide below from Simon’s presentation highlights what considerations should be made before deciding to develop an app. In Simon’s case at Suncorp, developing a mobile app experience was crucial for both the brand and it’s users. It was at this point that Bendt from Code Heroes also highlighted the importance of determining if an app would be fitting for a brand or client. 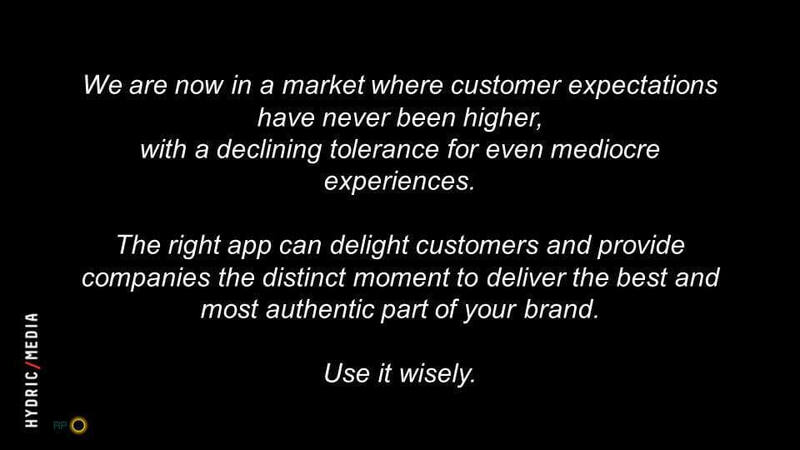 Brendt mentioned how it’s important for brands to not ‘just want an app’, but instead acknowledge what value the app will bring to their target users and what end goal it will help them reach. Referring back the case of Simon’s Suncorp app, he stated that the key objective was to create a mobile and simplified banking solution for users. Since the release of their mobile app, a staggering 70% of Suncorp’s out of branch customers use online banking through the mobile app, whereas only 30% continue to do so through their web portal. “I was actually surprised with the split between mobile app users and web users for Suncorps online customer base. This was a good case where the development of an app was truly necessary in order to bring value to it’s users”. When it came to the conversation around the actual development of apps, the importance of creating a unique experience for your users through a native mobile app was a hot topic. Eoin from Hydric Media covered how a native app will generate a more enticing user experience as it’s more responsive and fluent. He mentioned that native apps can take longer to develop as they cater for each platform (Android & iOS) individually. Although a native app may cost more upfront, it can also save you more in the long run as it offers better security, faster app performance and is less likely to have issues down the path. Talk around developing native apps did bring up the almighty question that we were all itching to know… How much does it really cost to make an app? Brendt mentioned that apps come in all different shapes and sizes, so there’s no definite answer. Brendt instead discussed the importance of focussing on the longevity of a project as an app can provide a longer value proposition instead of a quick return. Eoin also agreed with Brendts answer, but to put a figure to the question, Eoin mentioned that an app can cost anything from $50,000 – $500,000. So you’ve made an app and you’ve just launched it… What now? Conversations led into the marketing of an app post launch. Eoin touched base on his case study of Wonder, a indie music discovery app made by Hydric Media. Eoin mentioned that the most effective way to ensure your apps success was to have it featured in the App Store… But how? JUST ASK! He said that by simply just emailing the App Store, Wonder was featured amongst the editors picks and saw phenomenal growth. 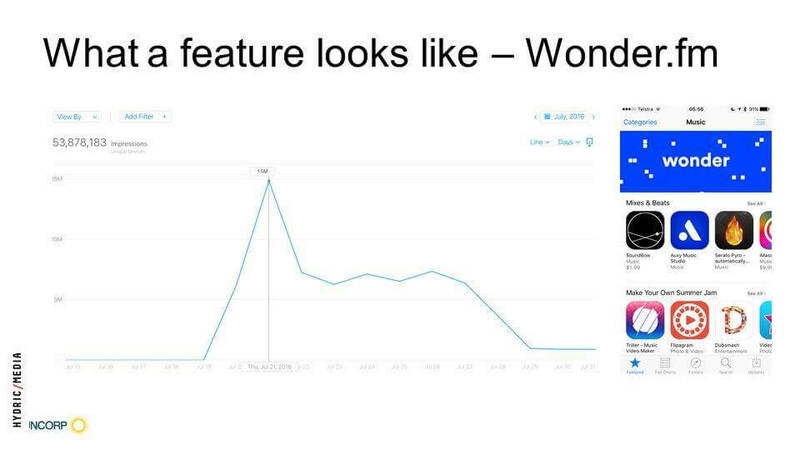 The chart below shares an insight into Wonder’s exposure once featured in the App Store. Eoin stated that the feature led to over 30,000 total downloads of the app. From the collective panel and topics covered, it was evident that a key takeaway from the event was to understand that apps aren’t just made for the fun of it, they’re developed after extensive research and investment have been undertaken. “I was interested in attending the event to not only see Eoin as a presenter on the panel, but to also gain an insight as to where other the app development industry currently stands on the need for quality development”. As mobile users continue to have shorter attention spans, there’s an increasing demand for unique and engaging app experiences that brands can associate themselves with. As quality is becoming a necessity for studios, the industry is shifting towards creating native experiences that are truly unique and offer a higher value proposition. Want to catch more highlights from the evening? Check out our Twitter momentherefor the best photos and guest tweets. If you have any unanswered questions from the night, or want to know more about app development, tweet us@hydricmediaor email us athello@hydricmedia.com.